Keto brownies are perfectly moist and insanely delicious! Satisfy that chocolate craving when you are following a low carb, ketogenic diet! So I bet you thought when you started your ketogenic lifestyle you wouldn’t be able to eat chocolate brownies… wrong! I definitely didn’t know all these scrumptious recipes would be part of the keto meal plan when I started! 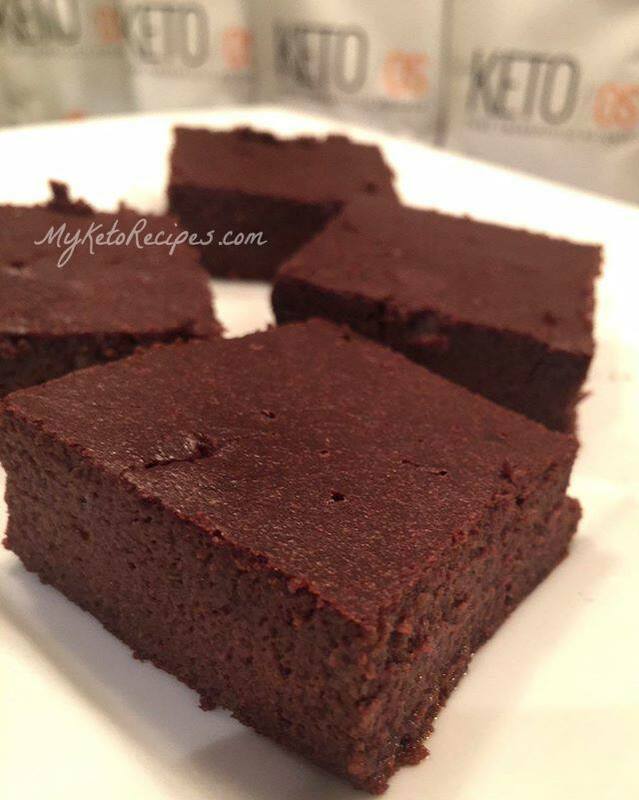 These keto brownies are the best and they are low carb and keto approved! This really changes things because you get to fulfil that sweet craving you may have without eating sugar. These low carb chocolate brownies are amazing! I use Swerve in these keto approved brownies because it’s a great, all natural alternative to sugar. Swerve is a combination of erythritol and oligosaccharides* that looks, tastes and measures just like sugar. It’s great for baking, has zero calories and no after taste. 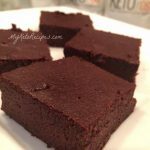 Keto approved chocolate brownies are also diabetic friendly! These are so easy to make and they are very moist. There is nothing worse then dry tasting brownies. The reason these stay so moist is because of the healthy coconut oil in them. The fact that they are so moist is what makes them such a delicacy. Even my kids love these and the pan empties so quickly when I make them. It’s such a healthy snack for the kids and they love the taste of them. It’s also a great way to get some healthy fats into your diet. I love to sit down with a cup of coffee and a Keto Brownie, such a great combination. Best snack ever! 4.6 grams of carbs each. *Oligosaccharides are sweet, non-digestible carbohydrates extracted from fruit and vegetable sources. They are similar to fiber and can help stimulate beneficial bacteria in the large intestine. Brush both sides of an 8â€³ by 8â€³ pan with coconut oil, or spray with olive oil cooking spray. Place a cut square of parchment paper in the bottom of the pan. Beat softened cream cheese with electric mixer until smooth. Beat in butter, vanilla, and sweetener. Add eggs one at a time to cream cheese mixture, and beat until smooth. Add dry ingredients and almond milk, mix well. Pour mixture into prepared pan, and smooth top with a spatula. Bake at 350 degrees for 45 minutes until toothpick inserted in center comes out clean, and top feels firm to the touch. The directions says to beat the butter with the cream cheese, however butter is not listed as an ingredient. Please clarify. It says to use butter or coconut oil in the list of ingredients. Per serving, or per batch? Could almond flour be substituted for coconut flour? Thank you for these wonderful recipes. Thank for this recipe. I sweetened with Splenda Naturals from stevia plant. I used 6 Tbs in this recipe and this definitely a keeper. These are delicious! I used the regular Swerve, mainly because I overlooked where she said she used the confection kind, but they turned out just great! I cut them into 16 squares, which made them 3.45 carbs instead of 4.6 carbs, that made them a lot more reasonable for me. Cassie, did you like these? Are they just “ok” or delicious? What are the nutrients. fat, etc.